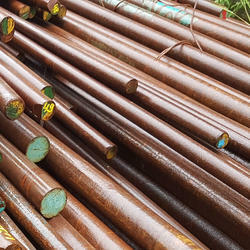 Pioneers in the industry, we offer 1.0601, c60 steel round bar, rods & bars, 1.0610, c60d steel round bar, rods & bars, 1.0612, c66d steel round bar, rods & bars, 1.0614, c76d steel round bar, rods & bars, 1.0616, c86d steel round bar, rods & bars and 1.0618, c92d steel round bar, rods & bars from India. 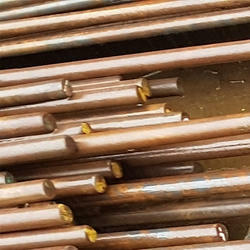 Jayant Impex Pvt Ltd, India, Maharashtra, Khopoli, Mumbai are leading 1.0601 / C60 Bars & Rods - Flat, Square, Ring, Hollow, Hex , alloy steel bars, carbon steel, alloy steel supplier, exporter, trader, wholesaler, stockiest, retailer, dealer, distributor, stock holder. Client can procure smaller quantities of 1.0601 / C60 Bars & Rods - Flat, Square, Ring, Hollow, Hex online ready stock at premium price from us to any destination by just sending us an email. 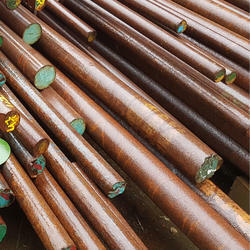 If any requirements for 1.0601 / C60 Bars & Rods - Flat, Square, Ring, Hollow, Hex kindly do contact us. Jayant Impex Pvt Ltd, India, Maharashtra, Khopoli, Mumbai are leading 1.0610 / C60D Bars & Rods - Flat, Square, Ring, Hollow, Hex , alloy steel bars, carbon steel, alloy steel supplier, exporter, trader, wholesaler, stockiest, retailer, dealer, distributor, stock holder. Client can procure smaller quantities of 1.0610 / C60D Bars & Rods - Flat, Square, Ring, Hollow, Hex online ready stock at premium price from us to any destination by just sending us an email. If any requirements for 1.0610 / C60D Bars & Rods - Flat, Square, Ring, Hollow, Hex kindly do contact us. Jayant Impex Pvt Ltd, India, Maharashtra, Khopoli, Mumbai are leading 1.0612 / C66D Bars & Rods - Flat, Square, Ring, Hollow, Hex , alloy steel bars, carbon steel, alloy steel supplier, exporter, trader, wholesaler, stockiest, retailer, dealer, distributor, stock holder. 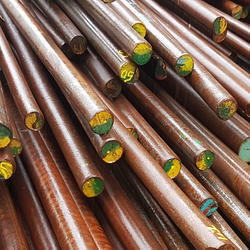 Client can procure smaller quantities of 1.0612 / C66D Bars & Rods - Flat, Square, Ring, Hollow, Hex online ready stock at premium price from us to any destination by just sending us an email. If any requirements for 1.0612 / C66D Bars & Rods - Flat, Square, Ring, Hollow, Hex kindly do contact us. Jayant Impex Pvt Ltd, India, Maharashtra, Khopoli, Mumbai are leading 1.0614 / C76D Bars & Rods - Flat, Square, Ring, Hollow, Hex , alloy steel bars, carbon steel, alloy steel supplier, exporter, trader, wholesaler, stockiest, retailer, dealer, distributor, stock holder. 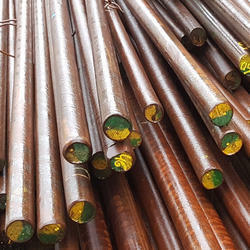 Client can procure smaller quantities of 1.0614 / C76D Bars & Rods - Flat, Square, Ring, Hollow, Hex online ready stock at premium price from us to any destination by just sending us an email. If any requirements for 1.0614 / C76D Bars & Rods - Flat, Square, Ring, Hollow, Hex kindly do contact us. Jayant Impex Pvt Ltd, India, Maharashtra, Khopoli, Mumbai are leading 1.0616 / C86D Bars & Rods - Flat, Square, Ring, Hollow, Hex , alloy steel bars, carbon steel, alloy steel supplier, exporter, trader, wholesaler, stockiest, retailer, dealer, distributor, stock holder. 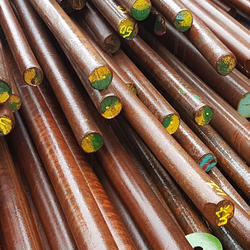 Client can procure smaller quantities of 1.0616 / C86D Bars & Rods - Flat, Square, Ring, Hollow, Hex online ready stock at premium price from us to any destination by just sending us an email. If any requirements for 1.0616 / C86D Bars & Rods - Flat, Square, Ring, Hollow, Hex kindly do contact us. Jayant Impex Pvt Ltd, India, Maharashtra, Khopoli, Mumbai are leading 1.0618 / C92D Bars & Rods - Flat, Square, Ring, Hollow, Hex , alloy steel bars, carbon steel, alloy steel supplier, exporter, trader, wholesaler, stockiest, retailer, dealer, distributor, stock holder. Client can procure smaller quantities of 1.0618 / C92D Bars & Rods - Flat, Square, Ring, Hollow, Hex online ready stock at premium price from us to any destination by just sending us an email. If any requirements for 1.0618 / C92D Bars & Rods - Flat, Square, Ring, Hollow, Hex kindly do contact us. Jayant Impex Pvt Ltd, India, Maharashtra, Khopoli, Mumbai are leading 1.0620 / C78D Bars & Rods - Flat, Square, Ring, Hollow, Hex , alloy steel bars, carbon steel, alloy steel supplier, exporter, trader, wholesaler, stockiest, retailer, dealer, distributor, stock holder. 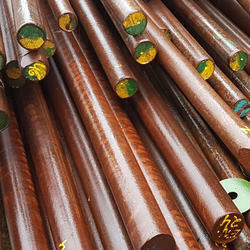 Client can procure smaller quantities of 1.0620 / C78D Bars & Rods - Flat, Square, Ring, Hollow, Hex online ready stock at premium price from us to any destination by just sending us an email. If any requirements for 1.0620 / C78D Bars & Rods - Flat, Square, Ring, Hollow, Hex kindly do contact us. Jayant Impex Pvt Ltd, India, Maharashtra, Khopoli, Mumbai are leading 1.0625 / GP280GH Bars & Rods - Flat, Square, Ring, Hollow, Hex , alloy steel bars, carbon steel, alloy steel supplier, exporter, trader, wholesaler, stockiest, retailer, dealer, distributor, stock holder. 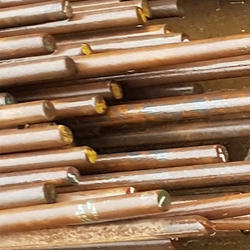 Client can procure smaller quantities of 1.0625 / GP280GH Bars & Rods - Flat, Square, Ring, Hollow, Hex online ready stock at premium price from us to any destination by just sending us an email. If any requirements for 1.0625 / GP280GH Bars & Rods - Flat, Square, Ring, Hollow, Hex kindly do contact us. Jayant Impex Pvt Ltd, India, Maharashtra, Khopoli, Mumbai are leading 1.0628 / C88D Bars & Rods - Flat, Square, Ring, Hollow, Hex , alloy steel bars, carbon steel, alloy steel supplier, exporter, trader, wholesaler, stockiest, retailer, dealer, distributor, stock holder. 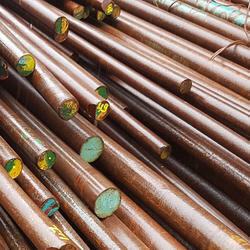 Client can procure smaller quantities of 1.0628 / C88D Bars & Rods - Flat, Square, Ring, Hollow, Hex online ready stock at premium price from us to any destination by just sending us an email. If any requirements for 1.0628 / C88D Bars & Rods - Flat, Square, Ring, Hollow, Hex kindly do contact us. Jayant Impex Pvt Ltd, India, Maharashtra, Khopoli, Mumbai are leading 1.0609 / C58D Bars & Rods - Flat, Square, Ring, Hollow, Hex , alloy steel bars, carbon steel, alloy steel supplier, exporter, trader, wholesaler, stockiest, retailer, dealer, distributor, stock holder. Client can procure smaller quantities of 1.0609 / C58D Bars & Rods - Flat, Square, Ring, Hollow, Hex online ready stock at premium price from us to any destination by just sending us an email. If any requirements for 1.0609 / C58D Bars & Rods - Flat, Square, Ring, Hollow, Hex kindly do contact us. Jayant Impex Pvt Ltd, India, Maharashtra, Khopoli, Mumbai are leading 1.0611 / C62D Bars & Rods - Flat, Square, Ring, Hollow, Hex , alloy steel bars, carbon steel, alloy steel supplier, exporter, trader, wholesaler, stockiest, retailer, dealer, distributor, stock holder. 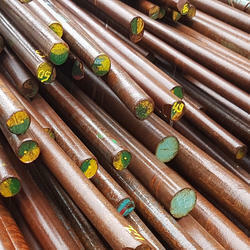 Client can procure smaller quantities of 1.0611 / C62D Bars & Rods - Flat, Square, Ring, Hollow, Hex online ready stock at premium price from us to any destination by just sending us an email. If any requirements for 1.0611 / C62D Bars & Rods - Flat, Square, Ring, Hollow, Hex kindly do contact us. Jayant Impex Pvt Ltd, India, Maharashtra, Khopoli, Mumbai are leading 1.0613 / C68D Bars & Rods - Flat, Square, Ring, Hollow, Hex , alloy steel bars, carbon steel, alloy steel supplier, exporter, trader, wholesaler, stockiest, retailer, dealer, distributor, stock holder. 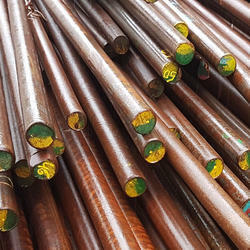 Client can procure smaller quantities of 1.0613 / C68D Bars & Rods - Flat, Square, Ring, Hollow, Hex online ready stock at premium price from us to any destination by just sending us an email. If any requirements for 1.0613 / C68D Bars & Rods - Flat, Square, Ring, Hollow, Hex kindly do contact us. Jayant Impex Pvt Ltd, India, Maharashtra, Khopoli, Mumbai are leading 1.0615 / C70D Bars & Rods - Flat, Square, Ring, Hollow, Hex , alloy steel bars, carbon steel, alloy steel supplier, exporter, trader, wholesaler, stockiest, retailer, dealer, distributor, stock holder. 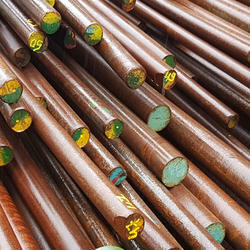 Client can procure smaller quantities of 1.0615 / C70D Bars & Rods - Flat, Square, Ring, Hollow, Hex online ready stock at premium price from us to any destination by just sending us an email. If any requirements for 1.0615 / C70D Bars & Rods - Flat, Square, Ring, Hollow, Hex kindly do contact us. Jayant Impex Pvt Ltd, India, Maharashtra, Khopoli, Mumbai are leading 1.0617 / C72D Bars & Rods - Flat, Square, Ring, Hollow, Hex , alloy steel bars, carbon steel, alloy steel supplier, exporter, trader, wholesaler, stockiest, retailer, dealer, distributor, stock holder. 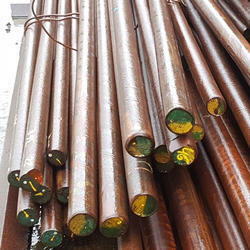 Client can procure smaller quantities of 1.0617 / C72D Bars & Rods - Flat, Square, Ring, Hollow, Hex online ready stock at premium price from us to any destination by just sending us an email. If any requirements for 1.0617 / C72D Bars & Rods - Flat, Square, Ring, Hollow, Hex kindly do contact us. Jayant Impex Pvt Ltd, India, Maharashtra, Khopoli, Mumbai are leading 1.0619 / GP240GH Bars & Rods - Flat, Square, Ring, Hollow, Hex , alloy steel bars, carbon steel, alloy steel supplier, exporter, trader, wholesaler, stockiest, retailer, dealer, distributor, stock holder. 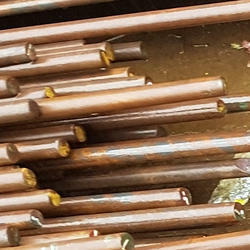 Client can procure smaller quantities of 1.0619 / GP240GH Bars & Rods - Flat, Square, Ring, Hollow, Hex online ready stock at premium price from us to any destination by just sending us an email. If any requirements for 1.0619 / GP240GH Bars & Rods - Flat, Square, Ring, Hollow, Hex kindly do contact us. Jayant Impex Pvt Ltd, India, Maharashtra, Khopoli, Mumbai are leading 1.0622 / C80D Bars & Rods - Flat, Square, Ring, Hollow, Hex , alloy steel bars, carbon steel, alloy steel supplier, exporter, trader, wholesaler, stockiest, retailer, dealer, distributor, stock holder. 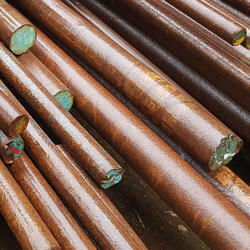 Client can procure smaller quantities of 1.0622 / C80D Bars & Rods - Flat, Square, Ring, Hollow, Hex online ready stock at premium price from us to any destination by just sending us an email. If any requirements for 1.0622 / C80D Bars & Rods - Flat, Square, Ring, Hollow, Hex kindly do contact us. Jayant Impex Pvt Ltd, India, Maharashtra, Khopoli, Mumbai are leading 1.0626 / C82D Bars & Rods - Flat, Square, Ring, Hollow, Hex , alloy steel bars, carbon steel, alloy steel supplier, exporter, trader, wholesaler, stockiest, retailer, dealer, distributor, stock holder. Client can procure smaller quantities of 1.0626 / C82D Bars & Rods - Flat, Square, Ring, Hollow, Hex online ready stock at premium price from us to any destination by just sending us an email. If any requirements for 1.0626 / C82D Bars & Rods - Flat, Square, Ring, Hollow, Hex kindly do contact us. Jayant Impex Pvt Ltd, India, Maharashtra, Khopoli, Mumbai are leading 1.0644 / E590K2 Bars & Rods - Flat, Square, Ring, Hollow, Hex , alloy steel bars, carbon steel, alloy steel supplier, exporter, trader, wholesaler, stockiest, retailer, dealer, distributor, stock holder. 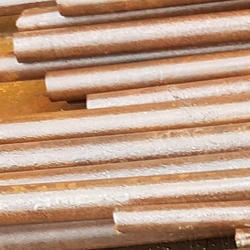 Client can procure smaller quantities of 1.0644 / E590K2 Bars & Rods - Flat, Square, Ring, Hollow, Hex online ready stock at premium price from us to any destination by just sending us an email. 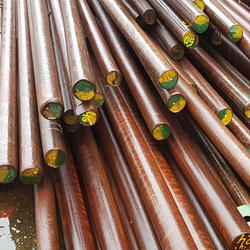 If any requirements for 1.0644 / E590K2 Bars & Rods - Flat, Square, Ring, Hollow, Hex kindly do contact us. 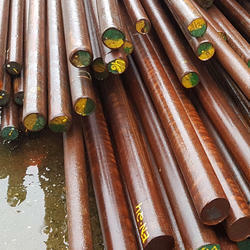 Looking for High Carbon Steel ?